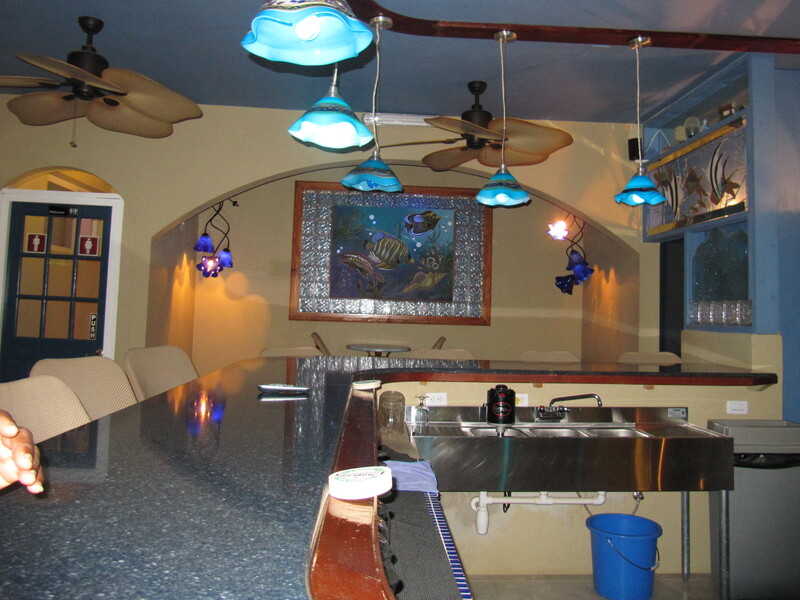 When my guests are planning their trip one of the top requests for information is where to buy local fish to prepare in their villa or condo. 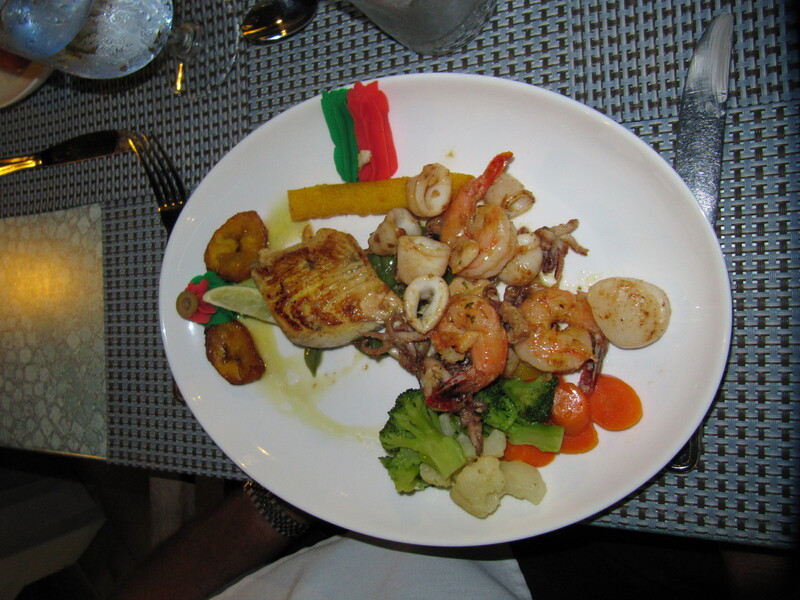 There is nothing like fresh Caribbean fish. 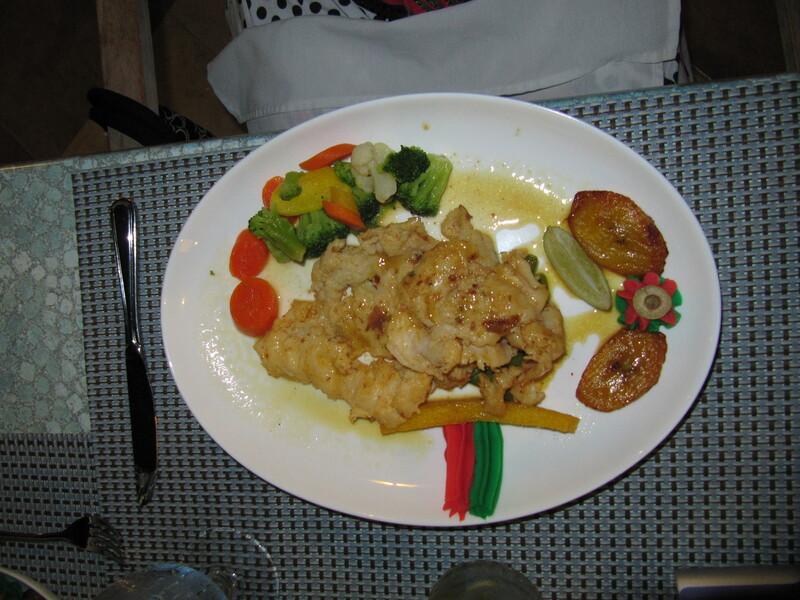 Most menus on island feature Wahoo and Dradu. Dradu if I am not mistaken is Mahi Mahi. I prefer it to Wahoo which can be firmer in texture. Doei is the Dad to windsurf guru Elvis Martinus. Head over around 3 PM and ask for fresh fish. It’s usually sold in bags with steaks vs filets. The building is pink. Turn left on the paved road, Kaya Karpitan, just south of Progresso Supermarket in Antriol. Turn right on the second road on your right, Kaya Purunchi. Then take the second left, Kaya Gutu, it’s the second house on the left hand side of the road. The second to last house on the right on the road to Lac Bay/Sorobon. If you come to the ballfield you went too far so go back. The house is brown and there is a sign “aki ta bende piska”. The blackboard and open gate indicate when they have fish. 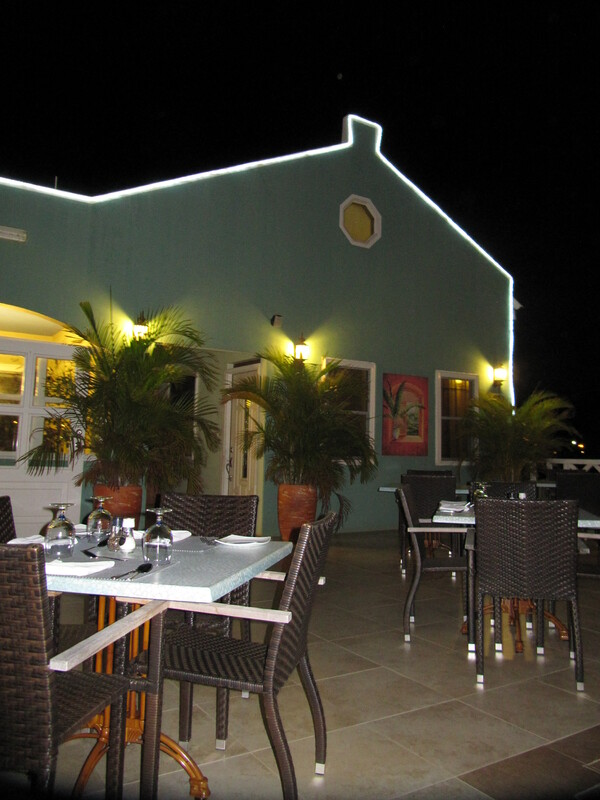 Lola and Andrea have moved their restaurant down the street on the waterfront in Bonaire. My favorite meal is lunch. Kate, Marguerite and I went on a Wed. and had a glorious meal. 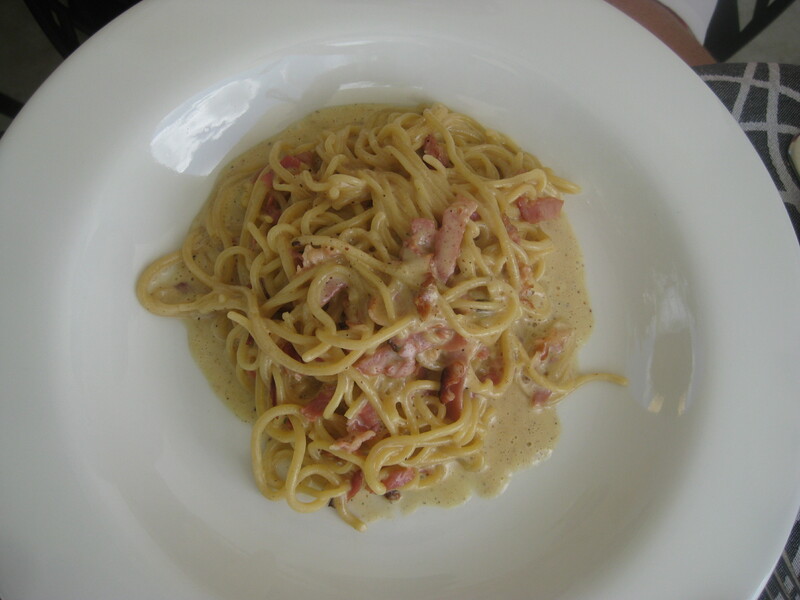 Marguerite chose the Antipasto, Kate chose the pasta Carbonara (Lola calls it breakfast pasta with egg and parma ham) and I had the fish soup. Lola served freshly baked bread and small salads. 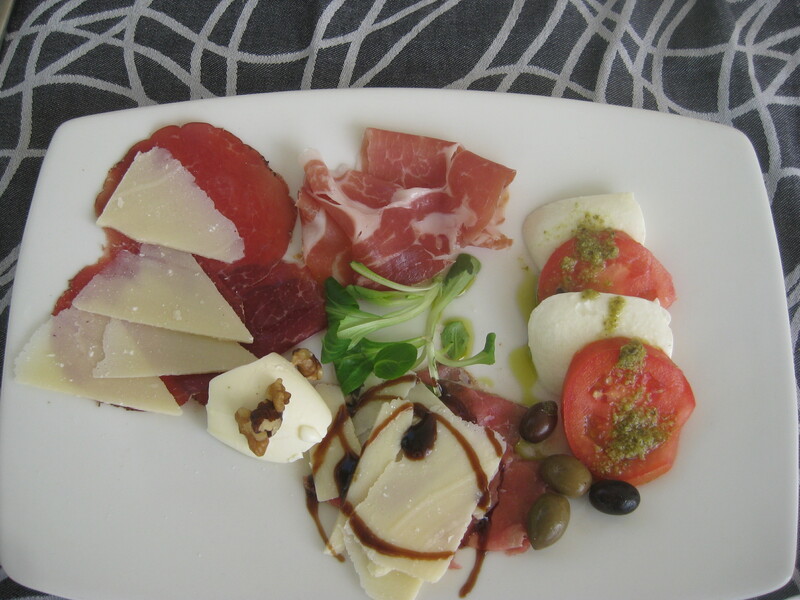 Once the meals arrived we settled in with a bottle Torresela Pinot Grigio. 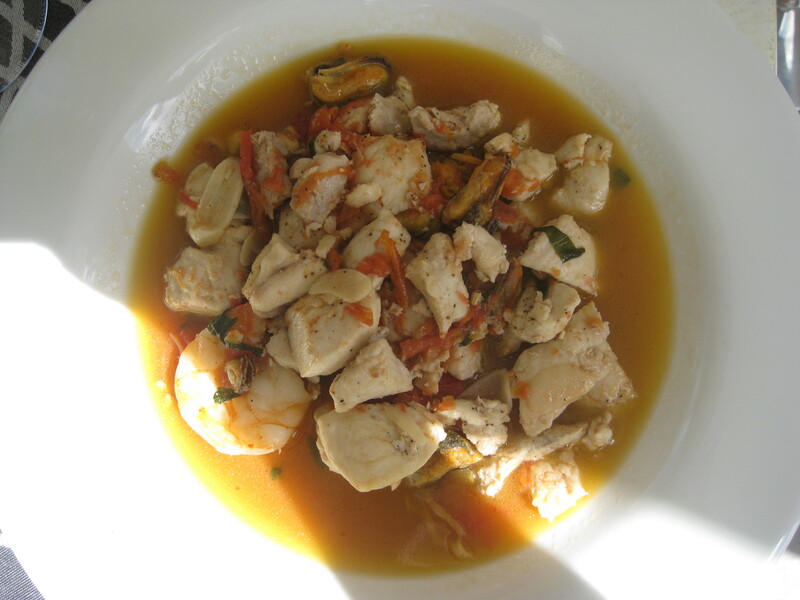 My soup was delicious with a savory salty broth and bits of fresh local tuna and wahoo as well as imported shrimp and mussels. After our entrees, Kate tempted us with the notion of sharing a Tiramisu. It’s not something I typically order but thank goodness I heeded her advice. 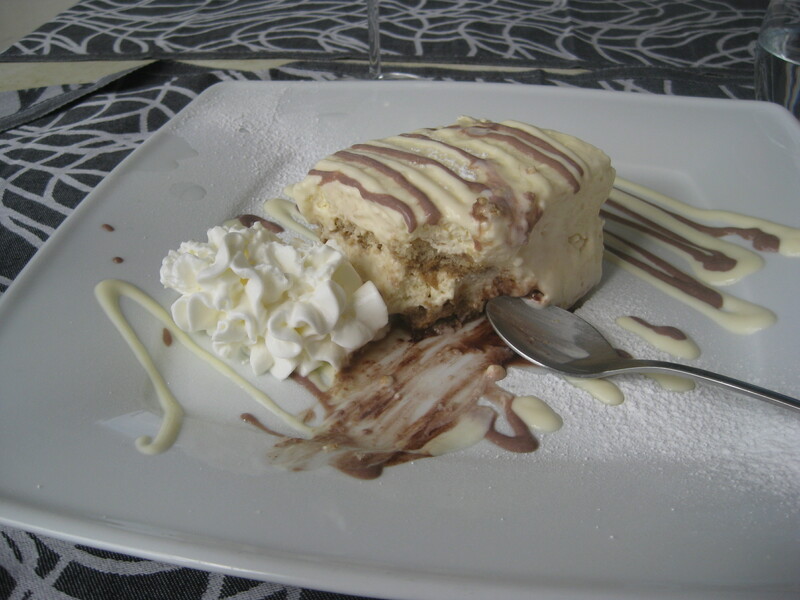 The massive portion of creamy coffee delight was pure ambrosia. We fought over the last spoon. 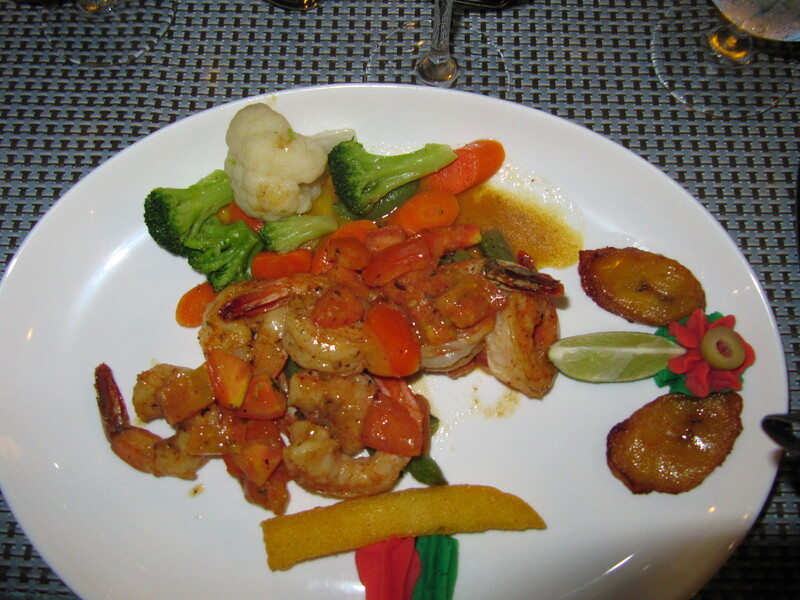 Capriccio’s serves lunch 5 days a week and presently dinner 7 days a week. 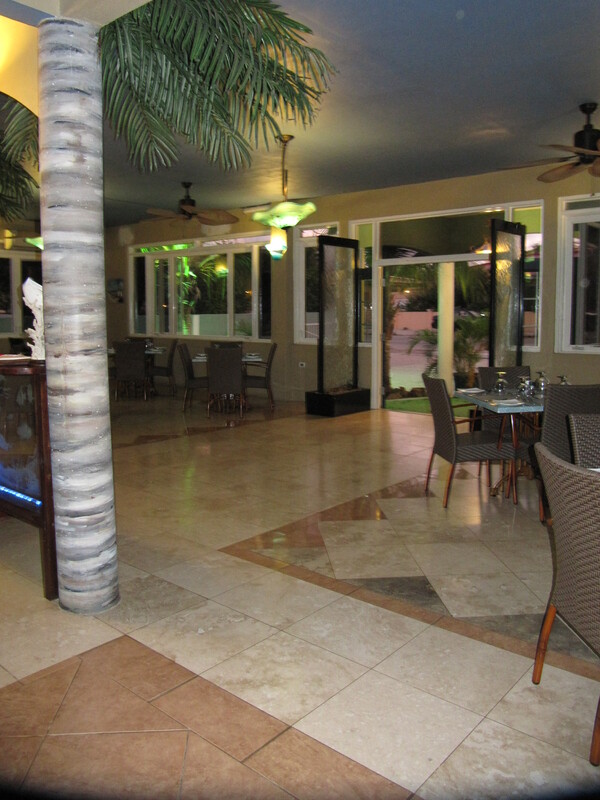 They also feature a lovely boutique complete with fine wines, pastas, sauces and delicious treats.